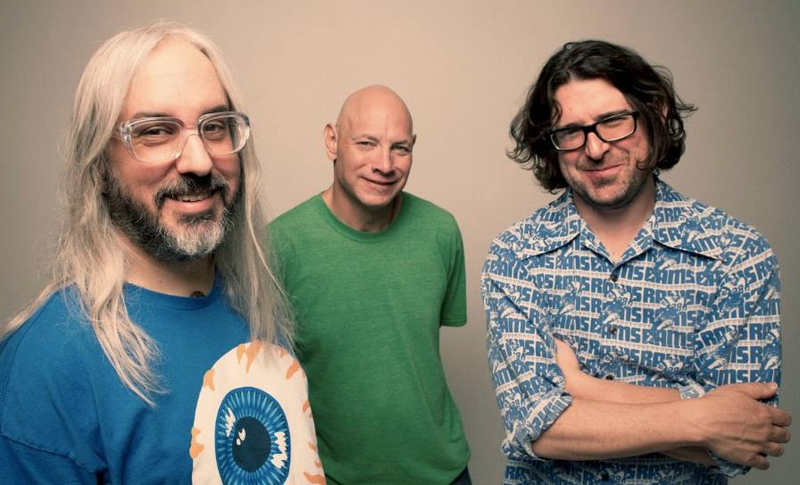 The Dinosaur Jr. track hit 18 on Billboard Japan’s Hot 100 chart and number one on the country’s overseas chart. This is due to YouTube views and not sales. “Over Your Shoulder” racked up eight million views on YouTube, but the song apparently never got an official YouTube release. There does not appear to be any clips of the song on YouTube with a million views, let alone eight. The song is not being used in any commercials, television shows or movies in Japan. This is what explains sudden interest in old tunes, such as the country’s current Queen interest. Yet, the song just surpassed Ariana Grande’s latest single. What caused this sudden spike? According to Japanese website Face It, one theory is that the February 6th episode of variety show Tokio Cocktail is responsible. The hosts of that show, boy band Tokio, previously had a program called Gachinko, which ran from 1999 to 2003. One part of the show as a reality segment called “Fight Club” in which tough kids took up boxing to turn their lives around. Dinosaur Jr.’s “Over Your Shoulder” was one of the numerous tracks licensed for the show. Last week, a handful of Gachinko clips popped up on YouTube with registered copyrights (see below). The theory is that the recent appearance of boxing champ Naoya Inoue on Tokio Cocktail evoked memories of Tokio’s old boxing program, leading people to watch bootlegged YouTube clips and track down the songs. As Face It notes, it wasn’t just “Over Your Shoulder” that unexpectedly racked up views, but other tracks like U2's “One,” which suddenly came in at number 78 on Billboard’s Hot 100, and the song had the fifth most YouTube music views). Matchbox Twenty’s “If You’re Gone” was 84 on the Hot 100 and sixth on YouTube music views, while Aztec Camera’s “The Belle of the Ball” came in at 14th on the YouTube music view ranking and charted in the top 300. These songs, it seems, also appeared in Gachinko. Here is “The Belle of the Ball” in a Gachinko playlist. However, this doesn’t exactly explain the sudden rise of these songs because the most recent Billboard chart was until February 3, days before the Tokio Cocktail boxing episode. Face It thinks a preview of the episode, which aired late last month could explain the sudden spike in Gachinko music like this Dinosaur Jr. tune. But to the tune of eight million? In a week? Or this could be bots. Whatever the reason, can’t wait until Pavement and Guided by Voices also rule the Japanese charts!